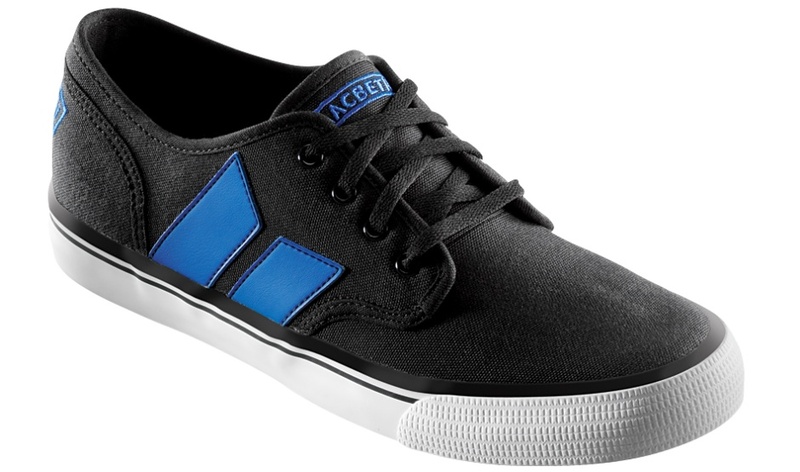 The Langley is one of the most skate-able shoes from Macbeth. They have a this snazzy blue accented Vegan colorway for the Summer season. 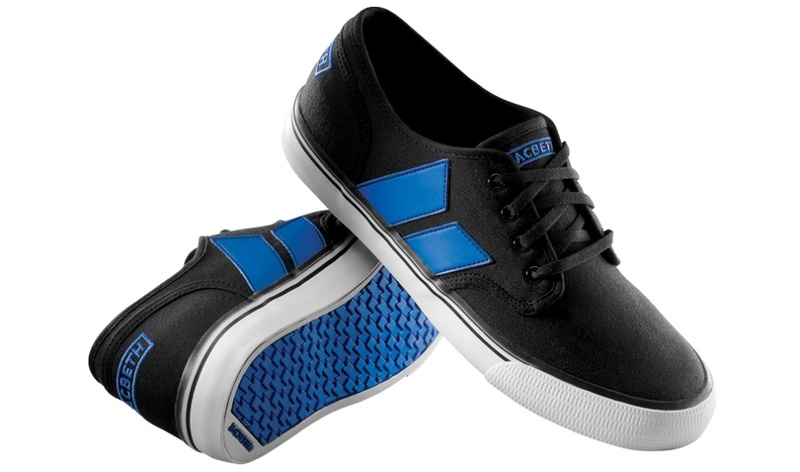 The three piece canvas upper is accented with a deep cobalt blue logo and embroidery that really makes the shoe standout. Summer skate shoes should be slim just like the Langley. Thin tongue, thin collar, but plenty of heel support. Great combination for keeping your feet cool and comfy while ripping the summer nights away. The textured foxing tape around the toes will give some extra wear to the vulcanized soles too! If black and blue aren’t your bag, take a look around. 4 out of 5 of the Langelys’ listed here are Vegan.